If you missed the sale to Maui earlier in the month, you’re in luck because United Airlines has again dropped the price of flights from Minneapolis to Kahului, Maui, to just $515 roundtrip, including tax. 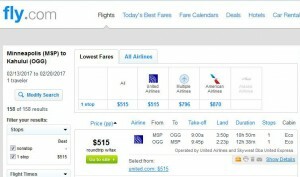 Today’s fare will save you up to $400 on the usual cost. Travel is widely available between August and February, and includes travel over MLK Day, Presidents Day and Valentine’s Day weekends. 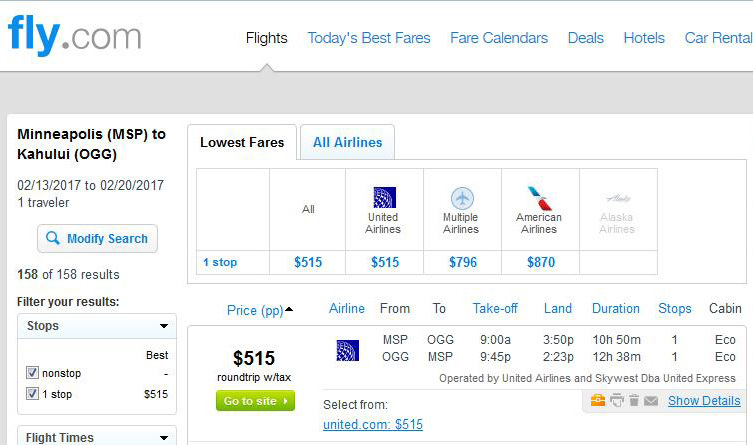 Note: United is also offering flights for $519 roundtrip. but those flights require 2-stops on the outbound journey. 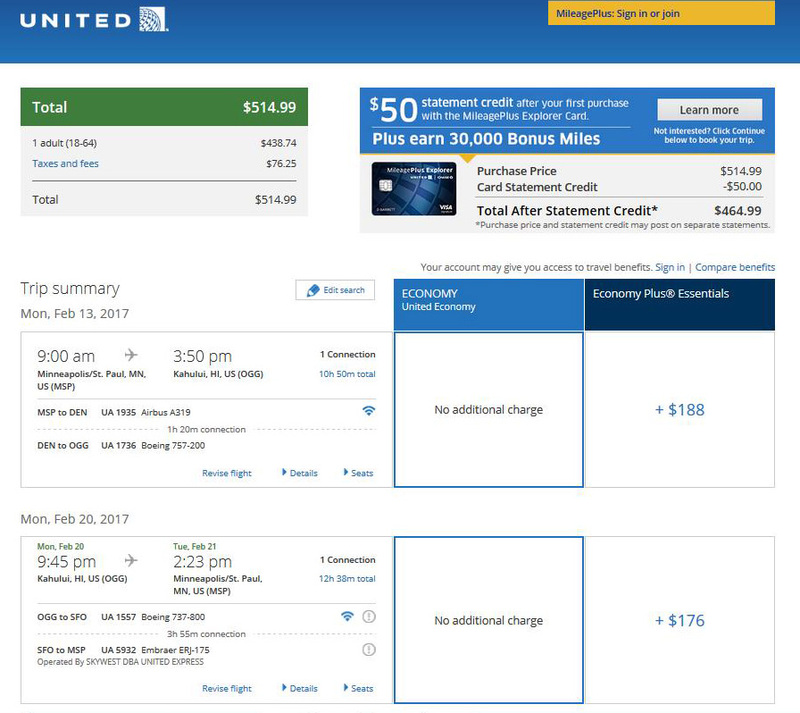 $515 — Kahului, Maui AUG.-NOV. | DEC.-FEB.